From California to Florida, fire ants from Latin America have been destroying homes and industrial electronics, with state governments now looking at new ways to fight the insects. CNN calls it one of the worst fire ant epidemics in Texas history, and several agencies in Texas exist solely to fight the spread of fire ants in the Lone Star state. Now Planet Amazing weighs in on the research with a report that shows a variety of environmental cures that can effectively protect lawns, houses and kill fire ants safely and quickly. 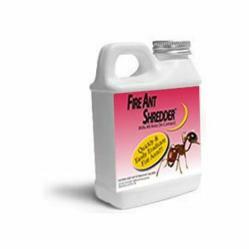 For more information about Fire Ant Shredder visit the website.